The scenario for Luxury carmaker in India is seen to be very unpredictable in India. BMW, the number one in Indian market until last year is ranked at number three as of now. Audi, the new luxury market leader has already launched few facelift for the year owing to which the numero uno slot gas been achieved. Despite the various new launches, there is one slot which is still left untouched. Mercedes has recently launched B Class and A Class hatchbacks in India and BMW has also teased 1 series hatchback for Indian market. However, Audi India has decided to play smartly - instead of launching their A3 hatchback which is already prevailing in Europe and other markets. 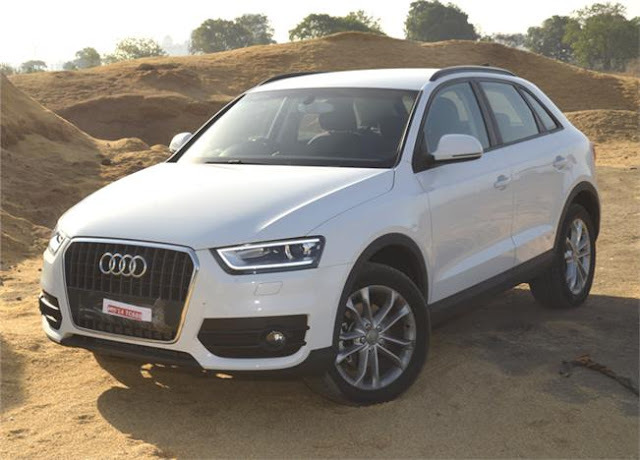 Audi India however has planned to launch a base variant of Q3 which would be low on features and still priced competitively to attract people looking for low cost luxury cars. Mr. Michael Perschke makes a point and says "Audi Q3 Sport would be a value for money vehicle and getting a Luxury SUV at same price at which you get a Luxury hatchback". The base Q3 sheds about Rs 3.5 lakh off its list price by stripping off the Audi's trademark daytime running LED's on front lamp along with the quattro all-wheel drive system as well as the DSG gearbox. This variant, called the Q3 Sport, will have its front wheels driven through a six-speed manual gearbox and the 2.0 TDI engine comes in a lower state of tune producing 140bhp (like on the A4) instead of the 177bhp the standard Q3 2.0 TDI makes. Stay tuned for more information on Audi Q3 Sport.